this shop was on my list to check out. 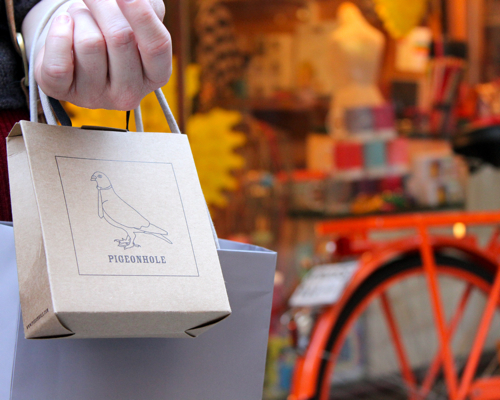 pigeonhole is one tiny shop full of goodness. they have a good online store if you're not in perth, including new polaroid film that will fit in your old polaroid camera. might just have to dust off my old polaroid camera this xmas. i bought some crazy fluro green stud earrings while i was there. come to think of it; don't know where i've put those. mirka is forever relocating my jewellery around the house. 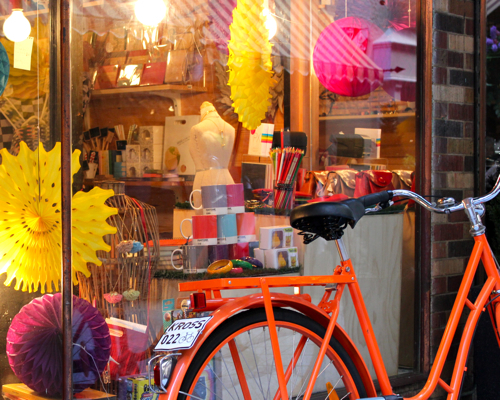 love that bright orange bicycle. 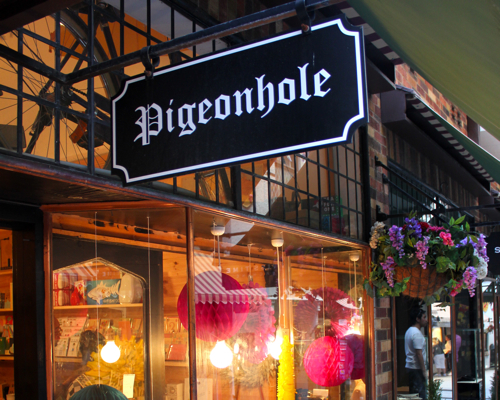 Oh yes, I love pigeonhole. Pity tiger tiger let you down. You should've tried the great cafe just around the corner in the lane (I can't remember its name).